When you ask a Manchester United fan why they love their club, most might reply, they’ve always stood for playing thrilling football with a certain unabashed swagger. But at the same time, they’ve had great moments of courage and standing defiantly in the face of adversity. United have had some of the Premier League’s finest midfielders and strikers. Pick from a galaxy of Paul Scholes, Wayne Rooney, Cristiano Ronaldo, Eric Cantona, and Ryan Giggs. But they’ve also always had great guardians in goal, needed at any moment. Big Peter Schmeichel and the formidable Edwin van der Sar. Their present keeper, however, might just top them both. Having embodied the United values of courage by overcoming a tough transition to the Premier League, David de Gea has transformed into an absolute force of nature. The Red Devils have always had showmen up top. 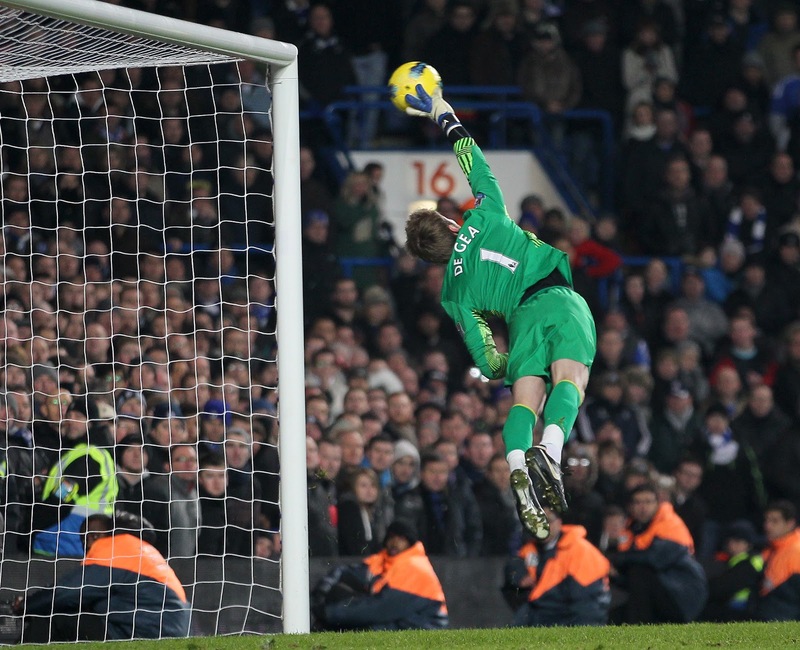 In one of the less glorious spells of their history, De Gea has enthralled fans and confounded opponents. He has been a consummate professional, and become a godly figure at Old Trafford. Here, we take a detailed look at the rise of Manchester United’s watchful protector; from a talented yet imperfect keeper to somebody at the top of his trade. These remarks reveal an early base for the ice-cool, cat-like goalkeeper that the Spaniard would grow into. 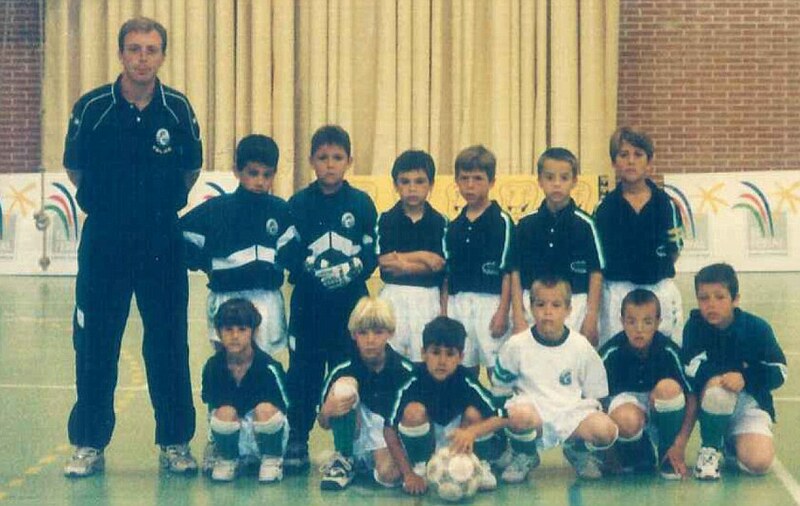 In 2003, he enrolled at the youth set-up for Atletico Madrid at the age of 13. 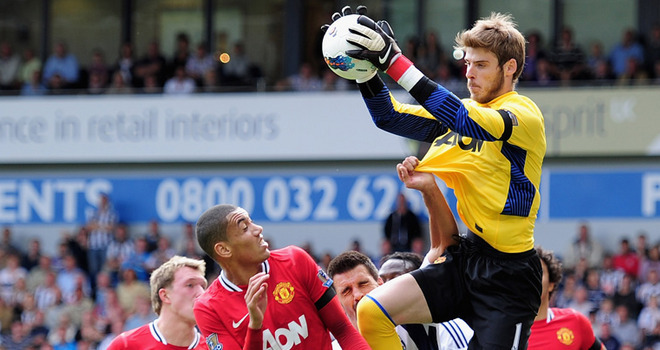 De Gea continued his development over the years, and in 2009-10, a first team call arrived. The prodigious shot-stopper established himself firmly as Atleti’s first choice in goal by the end of the campaign. Praise started to pour in for the young keeper. A game against Real Madrid prompted Iker Casillas to say, “In Spain, we are lucky to have very good goalkeepers and De Gea soon might be fighting my place in the team.” He featured in every game for the club, as they secured a 7th- placed finish. But a wind had been blowing all year, from Manchester. And it swept the young keeper to the place of his rise. This offers insight into many things that United did right, which they don’t always seem to now. A meticulous eye for detail, Sir Alex’s shrewd eye for what constituted a ‘United player’, and above all else, his faith in the promise of young talent. United paid a whopping 18.9 million pounds, a record at the time for a goalkeeper. But the red side of Manchester was no strangers to taking calculated risks. They had done it in the past with the likes of Rio Ferdinand and Wayne Rooney. They would do it again. Eric Steele’s tutelage proved invaluable to a man in need of comfort, education, and encouragement. Steele recollects gym sessions focusing on core work and strength in the early part of the week, and training related to speed and power closer to match days. Steele also helped the keeper learn English to overcome his feeling of being in an alien environment. Javier Hernandez and Patrice Evra became close friends, offering the Spanish shot-stopper help. The media were scathing towards the raw talent, questioning Sir Alex’s judgment and writing in lengthy columns that such a keeper could never handle the league’s demands. His performances started to turn a sharp upward curve. Sir Alex notes in his book, “He was more and more effective and self-assured as the season wore on. Some of his saves were miraculous.” For him, it was a vindication of his belief in the young Spaniard’s talent. De Gea went on to win a league title with United in 2012/13 and finished in the PFA Team of the Year. United have had troubled times in recent years. But De Gea’s stock has seen a meteoric rise. The Red Devils faithful remark with wit and an undertone of dread of where they would be without their heroic goalkeeper in recent years. His unorthodox, yet hugely effective technique in one-on-one situations and cat-like reflexes have never been under scrutiny. But he now commands his box with ease and stands tall against opposition strikers, whether that be Sergio Aguero or Andy Carroll. He has had a penchant for a smart save with his feet. Analysts and fans often say, “If it wasn’t for de Gea!” It’s worth running the rule over a few stats. In the campaigns from 2013-14 to the ongoing 2018-19, the Spanish international has made 103, 100, 90, 85, 118 and 80 saves. Only in two of those campaigns has De Gea figured among the top 10 keepers in the league by the number of saves made, the last one and the current. In a Golden Glove winning previous year, he had to make 118 saves, the most of any top six keepers. This year, he has already had to make 80. But it is not about the number as much as the quality of chances. The truth seems to lie in United’s defence, offering opponents plenty of very presentable chances in front of goal. It is reasonably safe to assume that had de Gea not been in goal, a lot of miraculous saves would have simply been chances easily tucked away. Picking a best David de Gea save is possibly as hard as choosing Lionel Messi’s best goal, or Andres Iniesta’s best piece of footwork. The one from Oviedo perhaps? Or the double save against Olympiakos? Or the montage against Arsenal, astonishing Alexis Sanchez, and Arsenal? How about the 11 he pulled off in one half last weekend against Spurs? 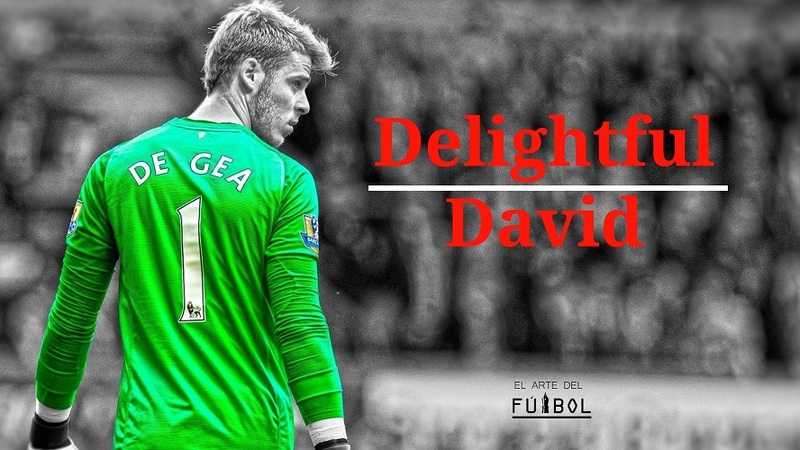 David de Gea has become as much a loved figure at United as a wonderful keeper. More Features written by Anirudh can be found here. Image one via Daily Mail.